With Exchange Server 2013 CU9 and Exchange Server 2016 Microsoft has released a new version of the Hybrid Configuration Wizard (HCW). Instead of running the HCW online, it is now a small stand-alone application which is installed on the hybrid server. The HCW is only a configuration tool, it configures both Exchange 2013/2016 on-premises as well as Exchange Online. It gathers information regarding the hybrid servers, where to deliver and receive SMTP messages and what certificates are used. To create a Hybrid environment you need at least one Exchange hybrid server on-premises. This can be an Exchange 2010 server but I always recommend using an Exchange 2013 server for this because of the improved hybrid connectivity in Exchange 2013. 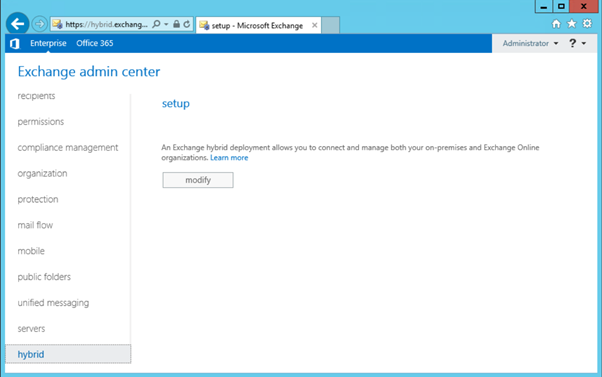 For redundancy purposes (and performance for larger environments) you better use multiple Exchange 2013 Hybrid servers.